If you’re not on social media, you are nowhere! Social Media isn’t a nice to have for businesses, it’s a must have. 78% of over-18s in the UK use Facebook, LinkedIn has 21 million users in the UK, 42% of Twitter users log in daily, Instagram has 16.7 million monthly active users in the UK – your customers are all over social media. Can your business afford to ignore them? At FireTap, we know how to make the most of your social media and use it as an effective digital marketing tool for connecting with your target audience. Our highly-skilled Social Media Management team have years of experience working with businesses from a wide range of sectors to build and grow their social media presence. 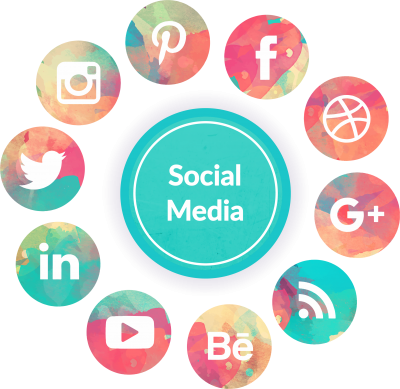 We work closely with you to identify the appropriate social media platforms for your business and develop a social media strategy to reach and engage your target audiences. We research, create and curate content to connect with social media audiences, build brand awareness and increase engagement. Our Social Media Management services can ensure your business has a regular active presence on social media platforms including Facebook, Twitter, LinkedIn, Instagram, Google Plus and YouTube. Our Social Media Advertising can help your business to target B2C and B2B audiences, increasing your audience reach and generating strong engagement with your brand, products or services.